We can’t wait for October! It’s a month full of fall festival fun, and we’ll be out and about bringing you some of our favorites. They’re Memphis traditions the whole family can enjoy, and they’re in support of some great Memphis causes, too. We’d love to see you around town – come join us! First up is the Orion Best Memphis Burger Fest on Saturday, October 3rd. Now in its 4th year, this all-day festival will feature dozens of teams (including one from Orion!) firing up their grills and grinding out their best beef & non-beef creations to compete for the title of Best Memphis Burger. There will be eating competitions, live music, celebrity judging, and activities for the whole family! For more information, visit Best Memphis Burger Fest. Tickets are $10.00 and all proceeds go Memphis Paws, Inc., a non-profit that has proudly donated over $23,500 back to the animal care community. Their mission is to increase responsible pet ownership and raise support for animal care and rescues around the Memphis area. Visit Memphis Paws to find out more & learn about ways you can help. The Orion Free Music Concert Series at the Levitt Shell continues thoughout October with a great lineup of shows. This fall, the Shell is celebrating community organizations that change our neighborhoods for the better. At each performance, they’ll be turning up the volume and shining a spotlight on different groups that help make Memphis GOOD. See if they have your favorite non-profit on the list! For more information and a complete roster of shows, visit the Levitt Shell. Wrap up the month at the River Arts Fest – presented this year by Orion! On October 23rd, 24th, & 25th, South Main will be transformed into the largest outdoor juried artist market and urban street festival in the Mid-South. For $5 dollars, you can enjoy this street celebration of original fine arts, real Memphis music, great southern food, and activities for all ages! Over 180 artists from around the country will exhibit and sell their latest works of original fine arts. Bonus: Friday night is FREE! For more information, visit the River Arts Fest. 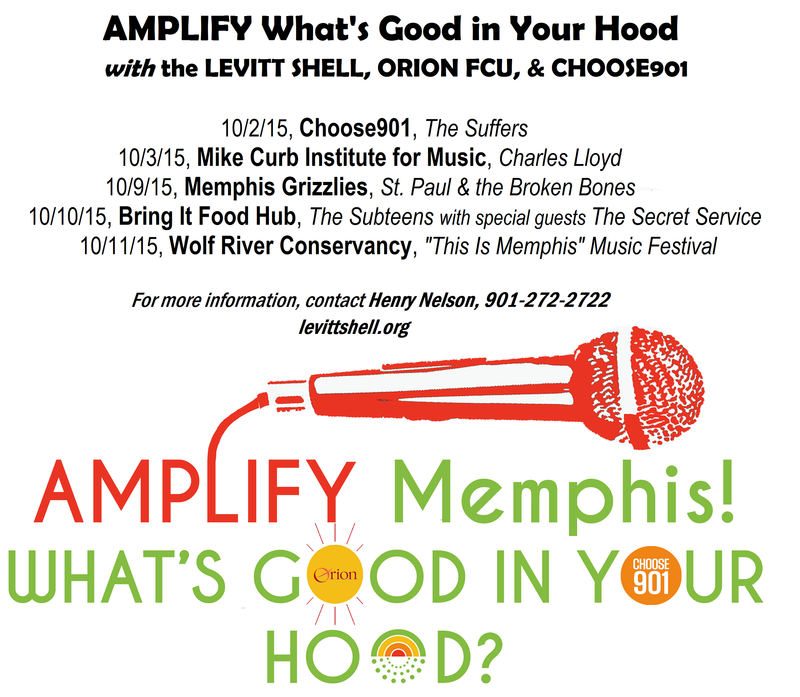 Posted in September and tagged Best Memphis Burger Fest, Levitt Shell, October, Orion Gives Back, River Arts Fest. Bookmark the permalink.